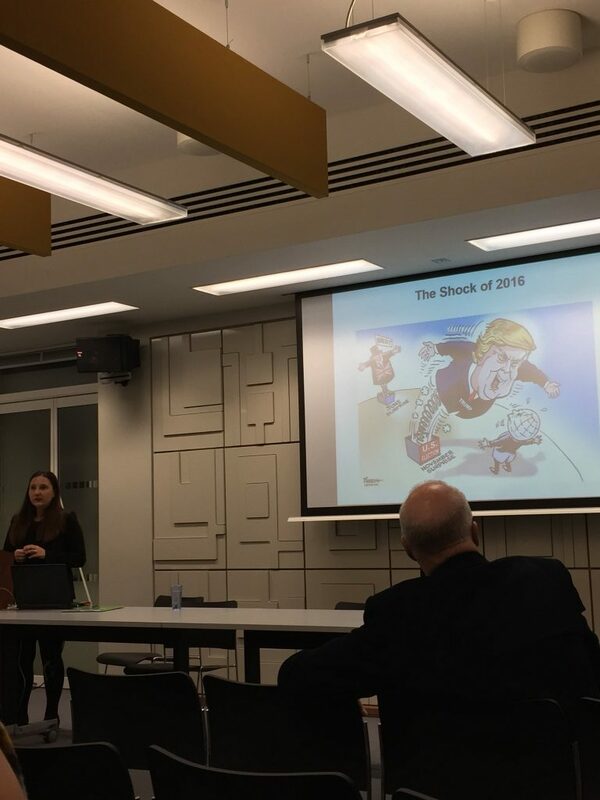 Yesterday evening (10/12/18), our very own Dr Mara Oliva gave a talk on Trump, the First Year in the White House: America in Retreat at a meeting of the London POTUS group at the Institute of Historical Research, Senate House. 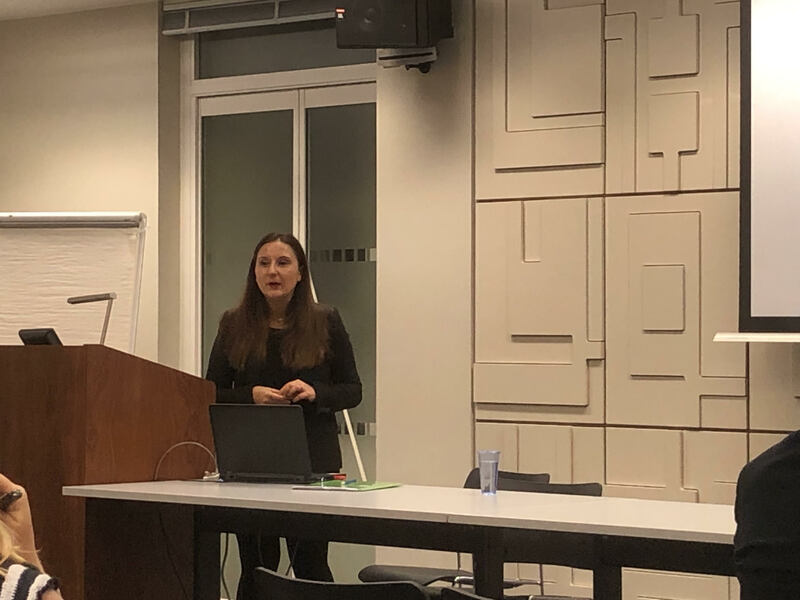 Mara presented the major findings from the Monroe Group’s newest edited collection, The Trump Presidency: From Campaign Trail to World Stag, published earlier this year. 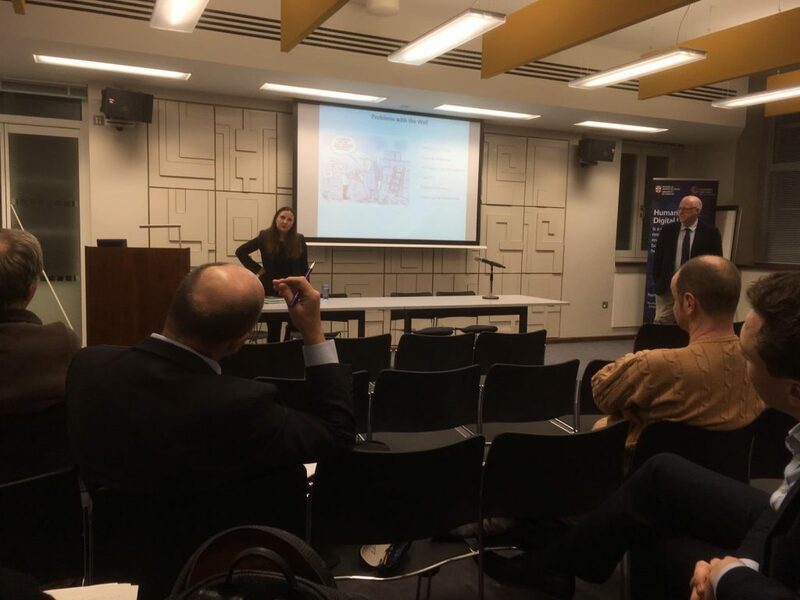 She explored key aspects of Trump’s first year in the White House, including his policies on race, immigration and international affairs, his early record compared to previous presidents, and of course, her own research on Trump’s policies towards China. Tonight’s seminar is under way. Some common themes in Trump’s presidency to date: lack of preparation, failure to build a team, lack of grand strategy, reliance on family members. Has Trump turned into an effective president? Those outside his base have been dismissed debased. 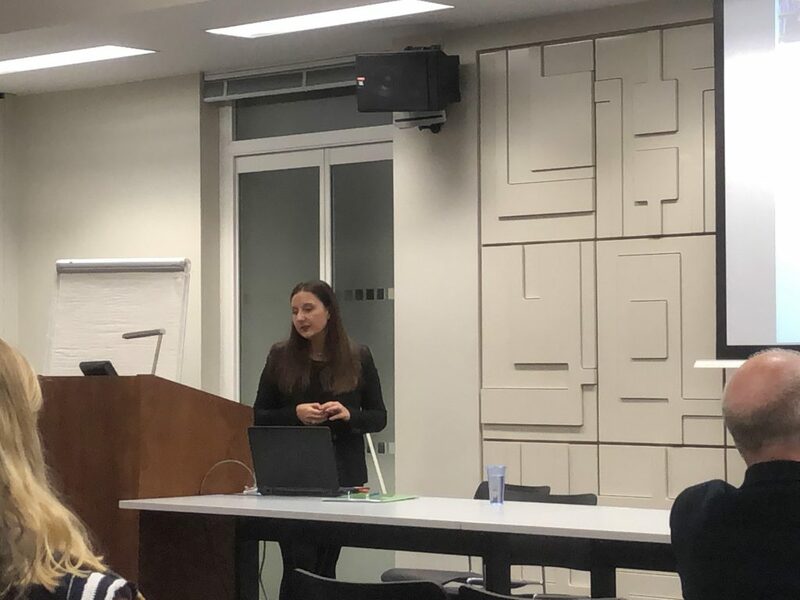 If you missed Mara’s talk, a podcast will be out shortly so keep an eye out!